World in Motion: What can I get for you? 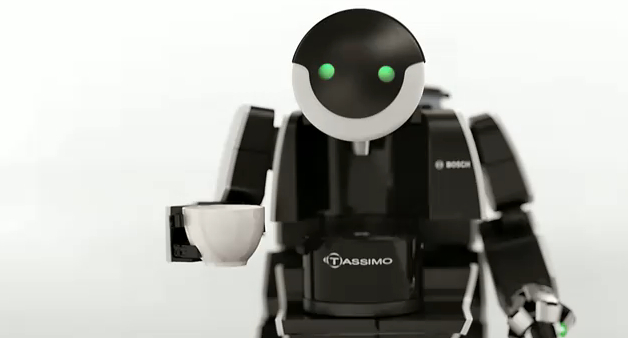 If only I had one of these little brew bots to make me a cup of coffee each morning! This morning I bring to you a spot from Tassimo to wake you up after another long weekend I'm sure. Better yet though, for everyone reading this in the U.S. you must be looking forward to the short week with Thanksgiving being this week. Any exciting plans? I'm actually off to North Carolina to play a little golf and run in a 8K Turkey Trot Thursday morning. I figured a little exercise wouldn't hurt before the real battle comes with all the food in the afternoon. Anyways, let the little coffee bot dance you into a good mood this morning. Remember to leave me your comments!